The response of the vertical ionospheric electron density structure to the Mw 7.9 Wenchuan earthquake on 12 May 2008 was recorded by the FORMOSAT-3/COSMIC (F3/C) radio occultation (RO) precise orbit determination (POD) total electron content (TEC). The horizontal propagation characteristics of the seismo-traveling ionospheric disturbances were identified by combining ground-based Global Navigation Satellite System (GNSS) TEC data and RO TEC data. The postseismic ionospheric infrasound wavefront with wavelength of around 80 km at altitude of 150–350 km was scanned vertically by an individual RO TEC profile. A large amount of TEC profiles around the epicenter from 0000 to 1200 UT provide evidence of continental earthquake-induced vertical oscillations that lasted in the ionosphere for several hours. RO-observed vertical perturbations appear on both the southward and northward sides of the epicenter. The vertical structure of the ionospheric oscillations with wavelength ranging from 10 to 80 km increased with altitude between 230 and 650 km. This work is supported by the NSFC (41604135, 41774164), China Postdoctoral Science Foundation-funded project (1231703), State Key Laboratory of Earthquake Dynamics (LED2015B04), Key Laboratory of Earth and Planetary Physics, as well as Hubei Subsurface Multi-scale Imaging Key Laboratory. The F3/C RO data were obtained from the COSMIC Data Analysis Archive Center (CDAAC) (http://cdaac-www.cosmic.ucar.edu/cdaac/index.html). The ground-based GNSS data were obtained from the Crustal Movement Observation Network of China (CMONOC), the International Global Navigation Satellite Systems (GNSS) Service (IGS), and the Wuhan Institute of Heavy Rain, China Meteorological Administration. The seismometer data were obtained from the Incorporated Research Institutions for Seismology (IRIS) Data Management Center (http://www.iris.edu). 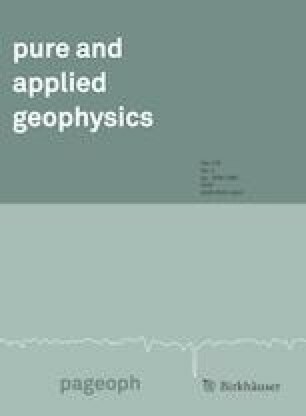 The authors thank Prof. B. Zhao, Institute of Geology and Geophysics, Chinese Academy of Sciences, for proving the derived slant TEC data. The authors thank two reviewers for their comments and suggestions.